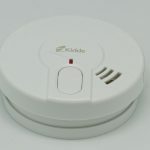 Fake security cameras is a good cost saving option and alternative for real cameras. They work as a good substitute when you can’t afford or you don’t want to deal with technicalities of the security camera. These are also called dummy security cameras. The best thing about these fake cameras is that they involve no complexities in installment and they also don’t require any detailed maintenance. 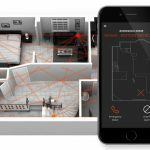 6 How to Spot a Fake Security Camera? The key feature in it which distinguishes it from other fake cameras is that it looks very realistic. In price of cheap you are getting high quality. This camera is easy to fix on walls, ceilings and other places using the stainless steel screws and it looks realistic when hanging. 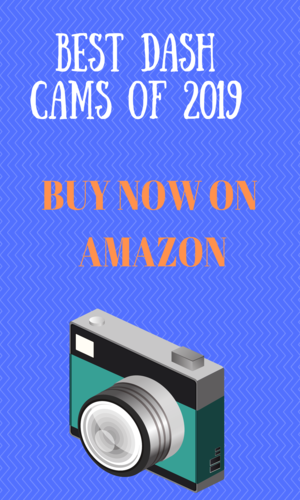 It is one of the best selling dummy cameras on amazon.com. What I personally like in this camera? Its material quality and 360 Degree rotation capability really stand out. It has a slideable aluminum casing, which gives it a totally professional look. 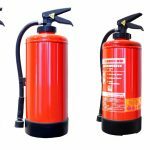 Due to its high-quality material, you can use it anywhere outdoor, indoor or your backyard. There is a red blinking light in it and a wire attached which is enough to deceive anyone. It is operated on 2 pcs AA batteries which don’t come with it, you have to separately buy these batteries. It is available in 2 colors black and silver. Weather-resistant design for outdoor or indoor use. Only 2×AA batteries (not included) which can last at least 6 months. This camera has an amazing feature of flashing light. 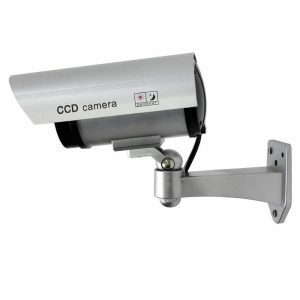 It consists of an authentic video cable and a fully adjustable mounting bracket that will let help you to install the camera quickly and easily using the included stainless steel screws. It comes with a rain shield. With the rain shield, the dimensions of the camera are 7 x 3 x 3 inches. The camera requires 2×1.5 AA batteries that are not included in the package. Loftek Fake camera is Fully adjustable with 90 degree elevation and 360 degree deflection control. It is available on amazon.com at a fairly reasonable price. It comes with rain shield. It is operated by 2 x AA size batteries. It has a red blinking light in it. This model is an exact copy of real security camera. It contains a flashing light that flashes continuously. Seller is offering some warranty of this camera which you can claim by contacting the seller directly. Shipment weight of it package is 12 ounce. Security cameras work by being a part of a security system either they are real or fake, they are important. 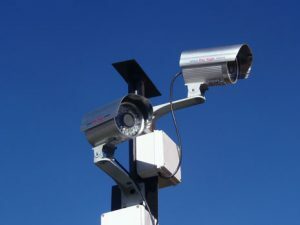 Fake security cameras are used to befool the criminals that there is someone watching them and they are being recorded. They provide actual security to your home. Using fake security cameras is better than using no security cameras at all. Whenever you are planning to install a fake security camera in your home, be sure that it looks like the real one. If you really want it to work effectively then make sure that it looks like the real security camera. If it doesn’t look authentic then there is no use of installing it in your security system. Make sure that there are more than two wires attached with your fake security camera and it had got a real lens so that the burglars might get the illusion that this camera is the real one. It might be possible that real looking fake camera cost more than the usual ones but to save yourself from any big loss, you can incur these smaller costs. Fake security cameras should be highly visible so that people could see them. They influence people’s behavior. The presence of visible security cameras informs everyone that there is someone looking them so they become uneasy with the fear of being recorded. 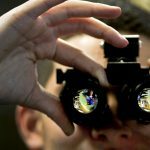 Fake security cameras are basically providing the false sense of security so there could be a chance for many serious consequences in the future. Fake security cameras can create serious lawsuit issues because they are just a dummy and they can’t record the crime scene so this can be problematic sometimes. How to Spot a Fake Security Camera? 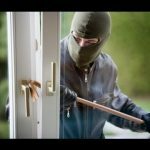 Learning about the difference between a fake and a real security camera is essential so that you can know how you can let your fake security cameras to look like. LED lights are the major and the simplest way to know whether the security camera is real or fake. Almost everyone knows that the real cameras have red LED light, especially in night visions. So your fake cameras should also have blinking lights. If they don’t blink, they’ll be spotted as fake. There are also some fake cameras that have bright blinking red LED lights inside and they are also not going to work for experienced burglars. This is so because the real security cameras have moderate blinking light. 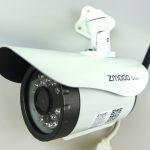 Usually, the cheap dummy cameras look artificial because there is a huge difference between the materials used in the manufacturing of real security cameras and the fake ones. 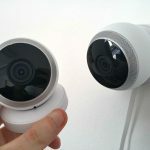 The cheap fake security cameras are made up of plastic while a bit costly fake cameras are made of the materials recycled from real security cameras. The experienced criminals can immediately feel the difference between fake and real cameras by seeing the camera covers. The installation place of the camera really matters when it is about to identify the difference between a fake or a real security camera. Weather conditions have a severe impact in such scenarios. Because cheap fake cameras made with fragile plastic can’t stand against the severe winds and bad weather conditions. So the place for installation of the security camera really matters a lot in its efficient working. You need to put the fake security cameras under some shade or at the safe place where the camera is not affected by the weather conditions. Normally, with the real security cameras, there are a lot of wires attached but with the fake security cameras no or hardly one wire is attached which makes the camera suspected. To prevent a fake security camera from such suspects and to make it look like real, it is important that you attach multiple wires with it so that no one could know that the camera is not real. Another good way to learn the difference between real and artificial cameras is to know about the models of fake security cameras. If you search about the fake security cameras on Google, you may get some information. There are basically two main types of fake security cameras and that are the dome cameras and the bullet cameras.